It is always an honor to have one of our tabletop designs featured… we are especially excited that our latest tabletop design has been included on Grace Ormonde Wedding Style’s Inspiration Gallery. 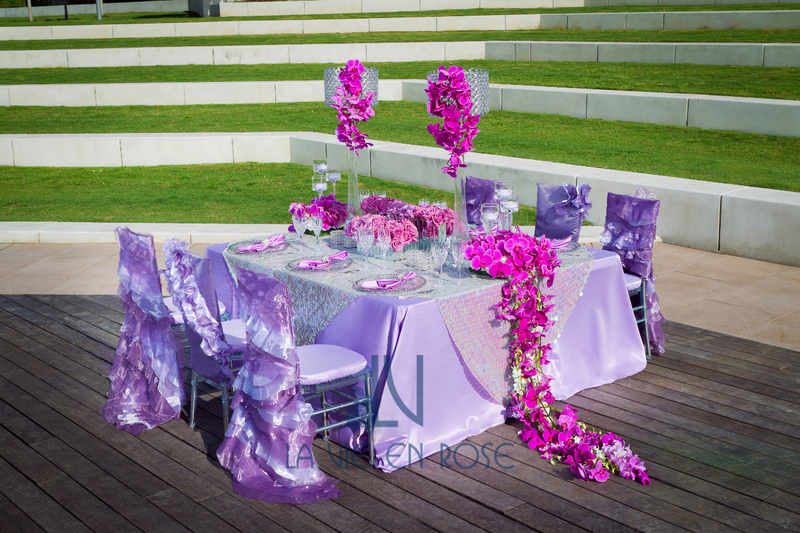 We, La Vie en Rose Design, conceptualized and executed this tabletop design using purple Phalaenopsis orchids to adorn crystal lampshades… while also cascading off the table. 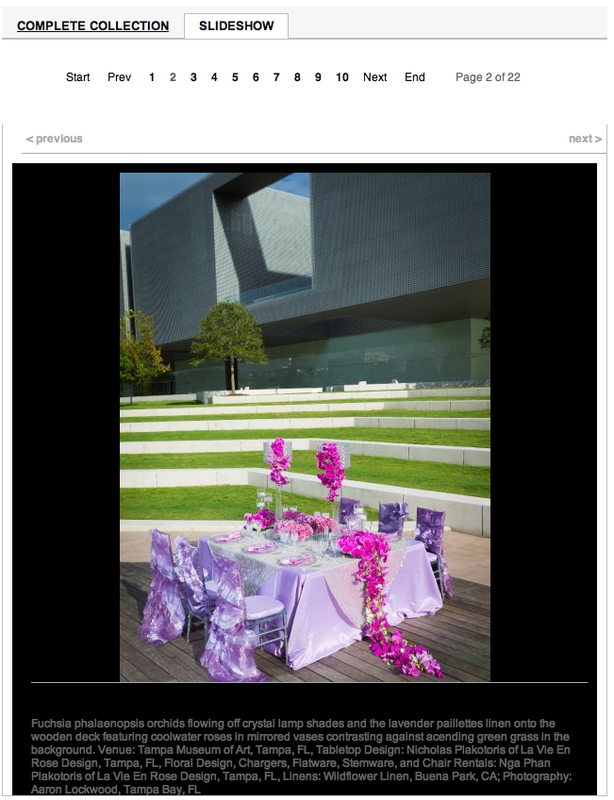 Also incorporating purple and lavender roses in mirrored vessels to add depth… to finish the table crystal Stemware, silver flatware and silver glass beaded chargers. 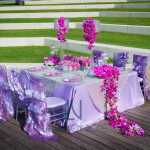 Wildflower Linen supplied the beautiful table linens, overlay, napkins, chair covers and napkin rings. The lawn of the Tampa Museum of Art served for a geometric backdrop. The image captured by Aaron Lockwood.